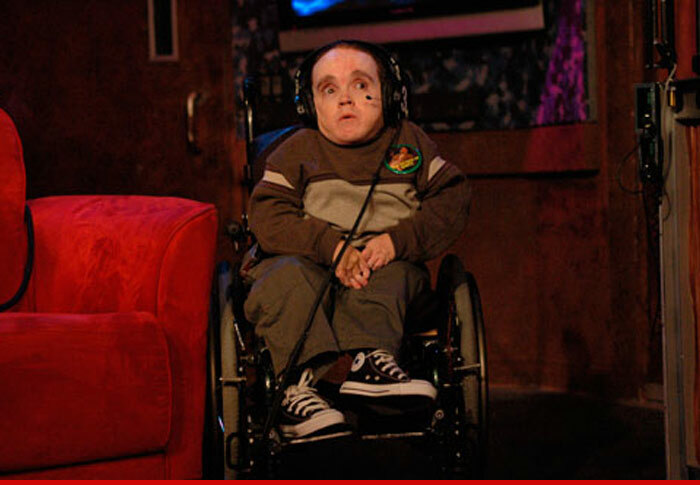 "Howard Stern Show" wack packer Eric "The Actor" Lynch has died at 39 ... TMZ has learned. Eric's longtime manager Johnny Fratto tells us Lynch was rushed to a hospital in Sacramento Saturday after he started having heart problems ... and we're told most of his organs just gave out. An official from the hospital confirms Eric passed away Saturday afternoon ... and Fratto says Lynch was surrounded by family and friends when he died. We're told his caretaker Jon was also present. Eric appeared on the Stern show just last week ... and said his parents would be taking over caretaking duties because Jon was moving away. Eric has been calling into the Stern show since 2002 ... and would famously call in to yell at Howard. He had a love-hate relationship with pretty much everyone on staff. His medical condition was never explained on the show -- but he always claimed to have outlived doctors expectations. Eric also made a few cameos on TV shows like "In Plain Sight" and "Fringe." Back in 2009 we shot Eric rolling up to Ruth's Chris Steakhouse in Beverly Hills -- where he actually got the valet to park his pimped out Power-Wheels style Escalade.